Up to this day, asphalt shingles have remained one of the most popular roofing materials. It has also become the go-to option for many American homeowners. Here are the advantages of this roofing option. 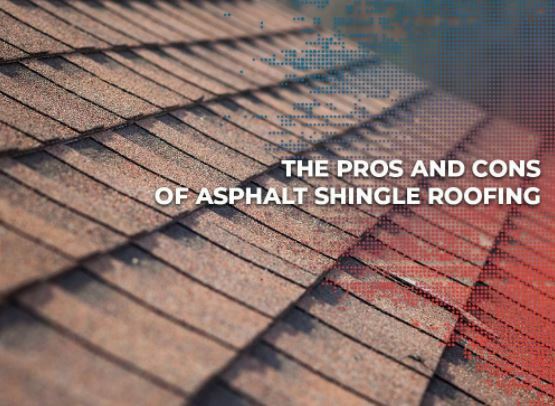 What makes asphalt shingles favorable even in the modern era? This roofing material is a budget-friendly option, but you won’t notice that because of its high performance. Asphalt shingles can last up to 25 years when maintained well, making it a roofer’s favorite since it is also easy to install. Moreover, asphalt shingles are recyclable, which can help minimize the amount of construction waste discarded in the landfills. You can also choose from the variety of colors and design depending on your preferences. Gusts of wind can cause shingle blow-off when the materials are improperly installed. Working with pros like our team minimizes, if not eliminates this problem. Roofing experts know the trade, so they are aware of the installation requirements that should be observed during the project. Additionally, this roofing material requires regular upkeep. It’s essential to remember, however, that all types of roofing systems need maintenance to preserve their pristine condition. Inspecting the area also allows you repair any damaged part as soon as possible. At Rogers Roofing, we offer excellent roofing products and services, including asphalt shingle roofing, to fit your architectural requirements. In addition to our roofing materials, we also provide high-quality replacement windows. Call us today at (219) 228-8210 for Indiana and (773) 492-2270 for Illinois. We serve residents of Hammond, IN, and Evergreen Park, IL.